I have post several articles to talk about how to protect your online privacy, like use secure proxy client, VPN, Tor Network, but I did not mention some alternate anonymous network network. I2P is one that offering a simple layer that identity-sensitive applications can use to securely communicate. It also supports some other applications like mail, peer-peer, IRC chat, and others. Actually, it is a little bit hard to figure out I2P if you have never touch this kind of network before. It was designed for internal community but still can connect outside network. For internal network, it uses .i2p instead of .com, but for most people, we want use it to surf outside network like to browse regular websites. Well, this part is not difficult. Let me tell how to do. 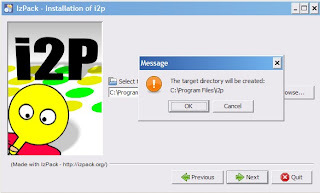 First, you have to download newest version I2P 0.7.7. Then, install it to you hard drive. Look at these screenshots below. Just follow steps keep click til finish. After that, you have to change your browser's Network Connection: 127.0.0.1:4444. Open I2P application, a small icon will stay on system tray. Use right click this icon, and click "Open router console", it will take you to this welcome page, you can learn how to use it. If everything is OK, now you can browse regular websites. 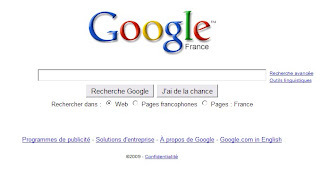 Go to Google, it will display Google French version.